Alec Forss reports in an article that Sweden’s old growth forests will be clear cut by 2035 and this will threaten thousands of species that depend on these old forest ecosystems. Powerful and influential logging companies are riding often ignoring the law, regulators, politicians and certifiers, who are trying to stop the destruction before it’s too late. The Swedish forestry typically uses clear-cutting forestry operations as their default method accepting soil scarification, employing the systematic use of chemicals and favors a plantation forestry using typically non-native species. 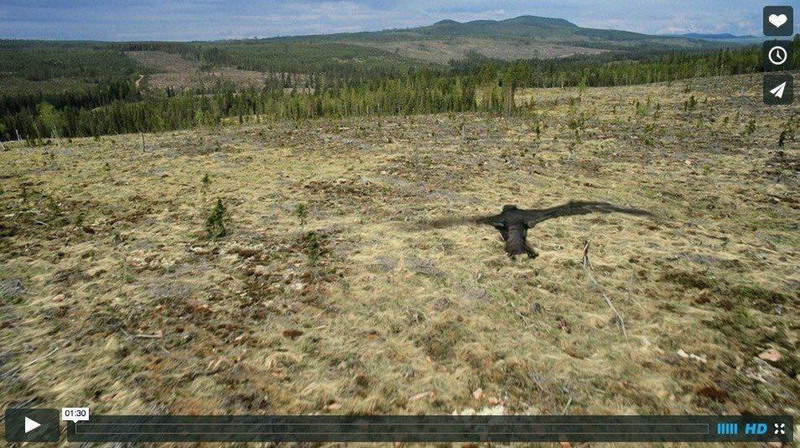 This video shows the flight of a peregrine falcon as it swoops low over an attractive, pristine river hugged by trees in remote northern Sweden. It then soars higher, revealing that the river flows through a large area which has been clear-felled of forest. Stripped bare, it is as if an atomic bomb has been detonated over the land. Aimed at raising public awareness, the message of the video by the Swedish Society for Nature Conservation (SSNC) (see below) is clear: Sweden no longer looks like what you think. Please visit their Website for more information and please support them in their quest to protect old-growth forest in Sweden. Wow. That video is profound. Very painful to see. I witnessed the same in many places in Finland, especially in the eastern parts. Its a tragedy really.